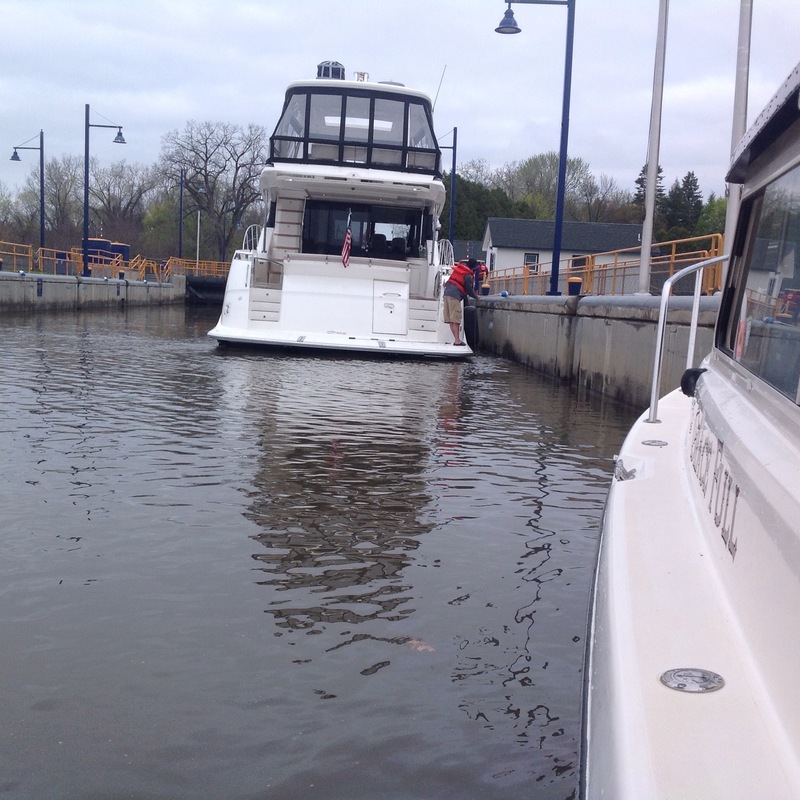 Went up to Lock 2 to meet the Lock Master Lou, prior to casting off from the Waterford Town Dock at 8am. We went through the Waterford Flight of locks, all 5 of them within two miles, in 2 hours. We transited with Just Because, a 65 foot Sea Ray gin palace being delivered from the Sea Ray factory in Palm Beach, FL to Detroit in time for a boat show there. 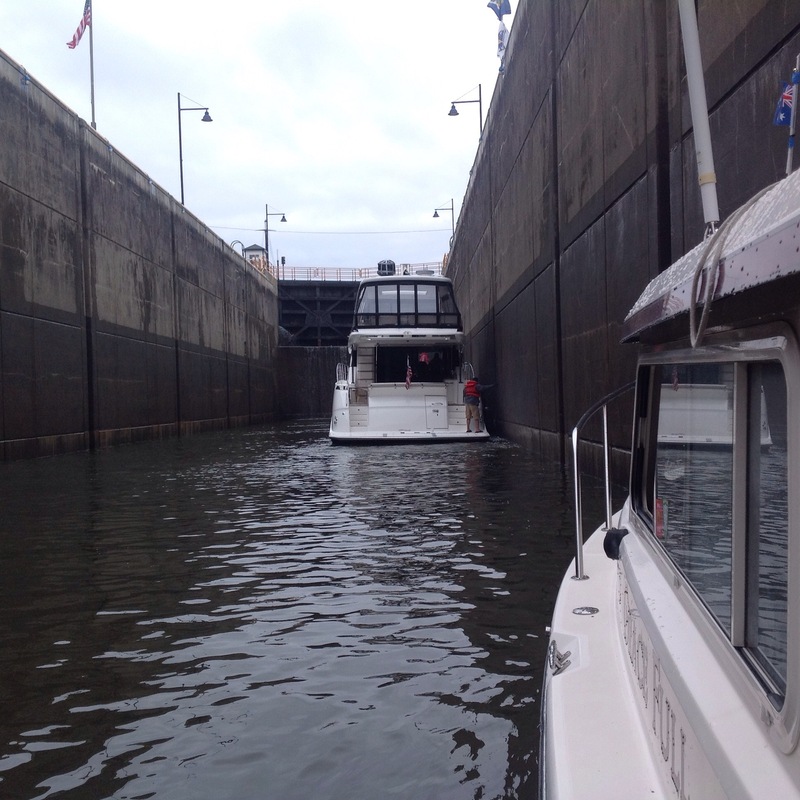 We had another lock to transit, #7 which was three mile before Schenecktady. 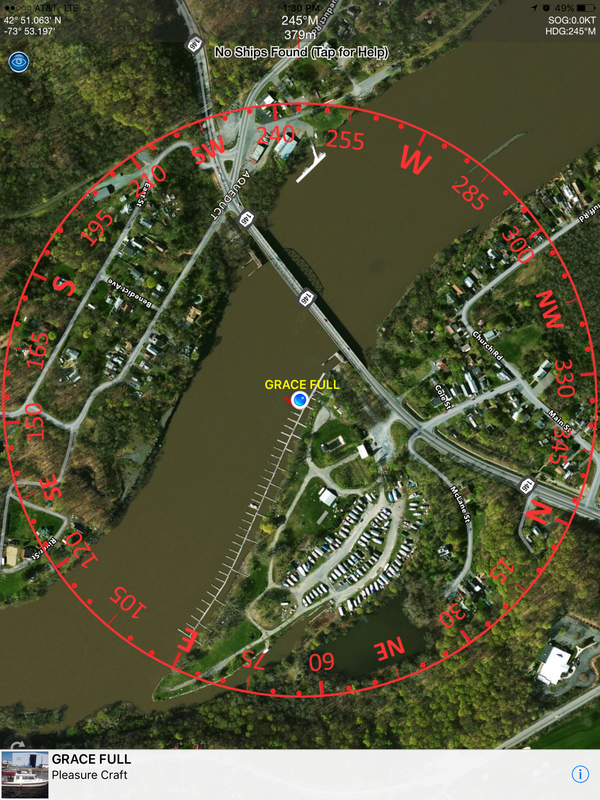 (Pronounced Skin Neck Teddy) It had a magnificent weir adjacent to the lock masters shed that went right across the Mohawk River and rose 25 feet. 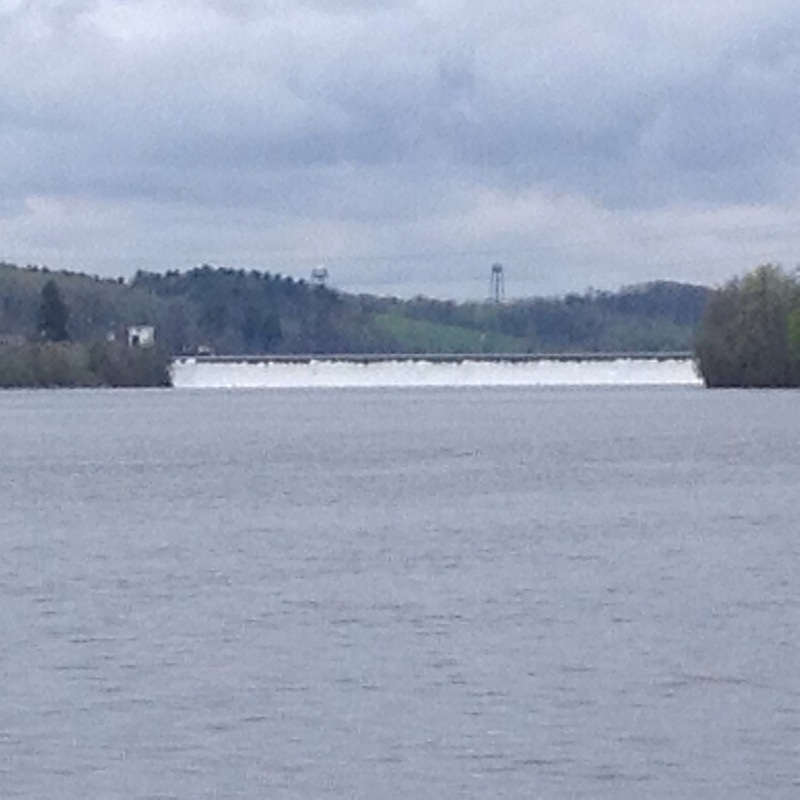 All in all we gained 180 feet above sea level through 6 locks today. Just Because was refueling at the Schenecktady Yacht Club when we arrived. She took 570 gallons at a cost of $us 1570, she has a capacity of 1000 gallons and burns 100 gallons an hour at her delivery speed of 27 knots. That’s about $au 400 an hour to run. We are having pizza delivered from the local restaurant to the yacht club tonight. Image | This entry was posted in Maryland to New York. Bookmark the permalink.